NISSAN has awarded to Actemium ASAS the implementation of all the conveying systems of boxes within body shop facilities as well as adaptation of the existing finishing line to the new model. 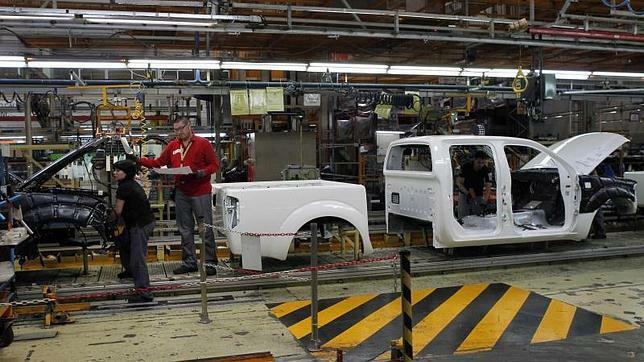 The boxes are part of the all-new pick-up models that NISSAN will manufacture at its Barcelona’s Zona Franca Plant. Project scope will combine skid and EMS technologies. Modifications will also be made at the slat conveyors in the box finishing line and in the box carriers up to the point where boxes are transferred to Paint Shop. Final assignment of the Project to Actemium ASAS followed a submittal of a unique proposal with additional technical and economic advantages including, among others, a reduced number of gearmotors, which increases power savings as well as optimizes maintenance costs. Also investment amount was reduced by designing a mixed EMS+skid conveying system that maximised reutilization of existing facilities. Required quality standards and execution schedule were thoroughly respected. This fact shows up Actemium ASAS capability to find the most suited technical and economical solution to our client’s requirements and investment capabilities, always according to quality standards and execution schedules. With this new job, together with the project under execution to modify the engine assembly line, NISSAN reaffirms its confidence in Actemium ASAS as key EPC contractor, for its conveying systems.